Look who decided to drop in on our dinner tonight as we ate outside. 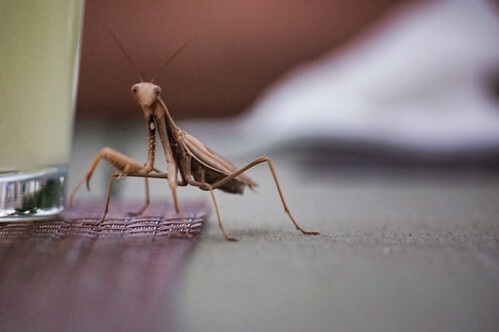 I've actually never seen a praying mantis up close before. To tell you the truth, I didn't get too close. I quickly snapped a photo and ran away like a little girl.